We are very fortunate to have had a visit to ALNR from Dr Steven Heathcote, whose specialism is bryophytes. 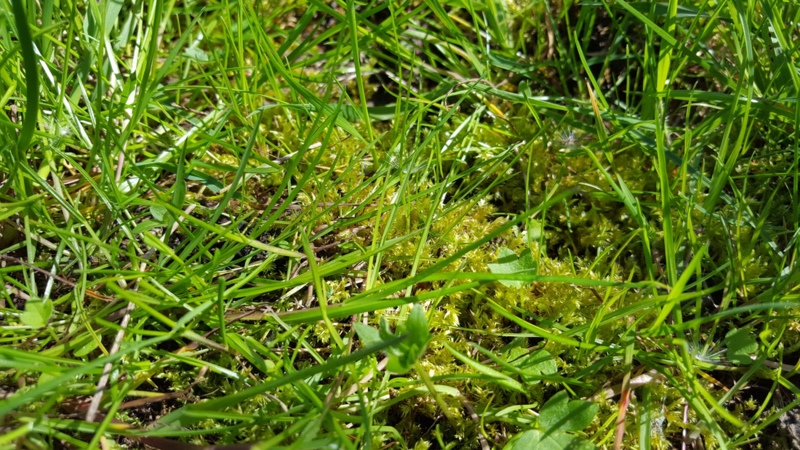 He has made an initial survey and reports a range of bryophytes in a number of different environments on the reserve. Hopefully, he will be able to return and provide a more extensive list in the future. This report gives details of species found during a short visit to Ashing Lane Nature Reserve on Tuesday 15th May. 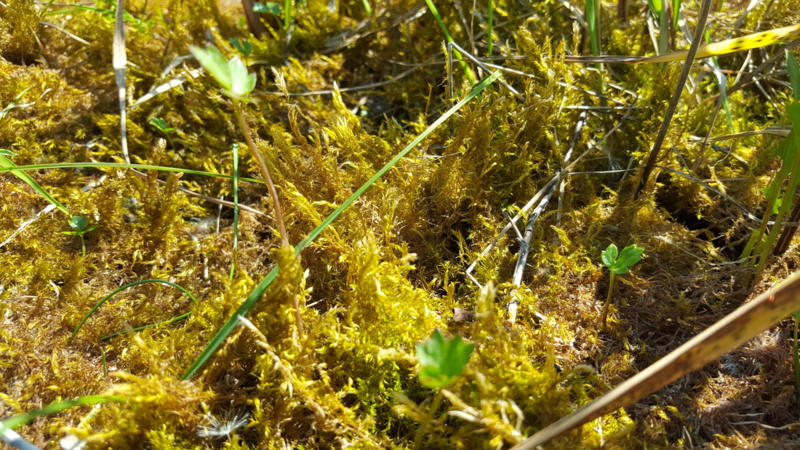 Conditions were not ideal for bryophyte surveys (hot and dry) and the notes cover only a small part of the reserve – there are more bryophyte species to be found at the site! Watts Wood provides a range of habitats for bryophytes. By far the richest habitat is Field Maple (Acer campestre) trees, which support a diverse range of epiphytic species (9 species recorded in this visit) with the most notable including Lateral Cryphaea (Cryphaea heteromalla), Blueish Veilwort (Metzgeria fruticulosa) and Frizzled Pincushion (Ulota phyllantha). These epiphytes may never have been abundant in the county and decreased significant in the second half of the 20th century because of air pollution but are now recovering. Frizzled Pincushion growing on the end of a sawn-off branch. The dark brown centres are gemmae. A patch of Blueish Veilwort on Field Maple. The woodland floor supports a few bryophytes, including the liverwort Lophocolea heterophylla along with the ubiquitous species Common Feather-moss (Kindbergia praelonga), Rough-stalked Feather-moss (Brachythecium rutabulum) and Common Pocket-moss (Fissidens taxifolius). The east-west ride in the top third of the wood supports a few patches of the thallose liverwort Jagged Germanderwort (Riccardia chamedryfolia). Jagged Germanderwort on the woodland ride. A tree stump at the edge of the pond in the north west corner of the compartment has a patch of Kneiff's Feather-moss (Leptodictyum riparium). Lincolnshire meadows are not normally good bryophyte habitats and most bryophyte interest is in the field boundaries. Only Rough-stalked Feather-moss (Brachythecium rutabulum) is present in the sward and achieves occasional frequency. Rough-stalked Feather-moss is the only species that achieves any prominence in the grassland sward. 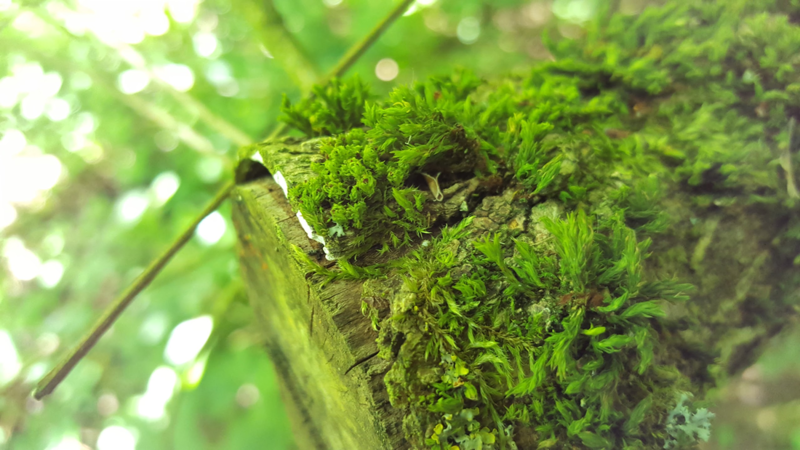 The various wooden structures (gates, fence posts, bridge) support a small number of epiphytes including Creeping Feather-moss (Amblystegium serpens), Common Pincushion (Dicranoweisia cirrata), Cypress- leaved Plait-moss (Hypnum cupressiforme), Wood Bristle-moss (Orthotrichum affine) and White-tipped Bristle- moss (Orthotrichum diaphanum). The wetland has abundant moss cover from Fern-leaved Hook-moss (Cratoneuron filicinum) and Pointed Spear-moss (Calliergonella cuspidata). 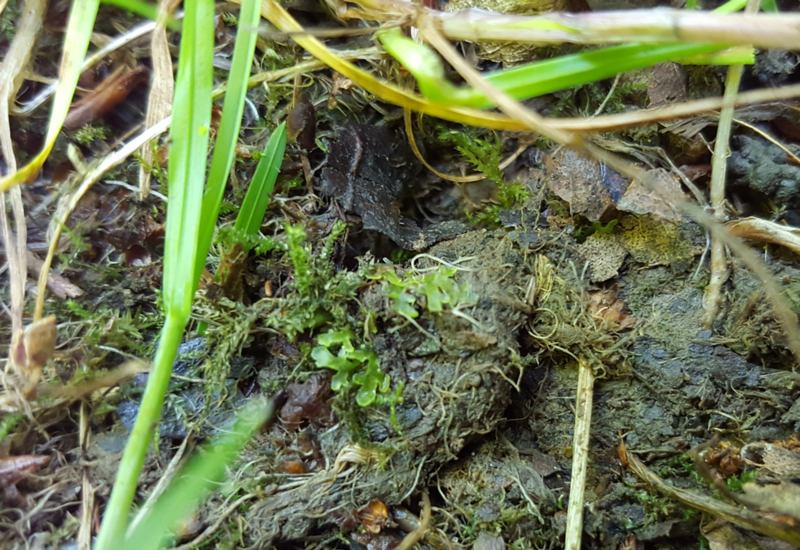 In open but drier ground at the margins Common Pocket-moss (Fissidens taxifolius) is present. A close-up of Fern-leaved Hook-moss which goes a golden-yellow when drying out and exposed to sun. "Bryophytes are the oldest land plants on earth, and have been around for 400 million years or more. Although small, they can be very conspicuous growing as extensive mats in woodland, as cushions on walls, rocks and tree trunks, and as pioneer colonists of disturbed habitats. 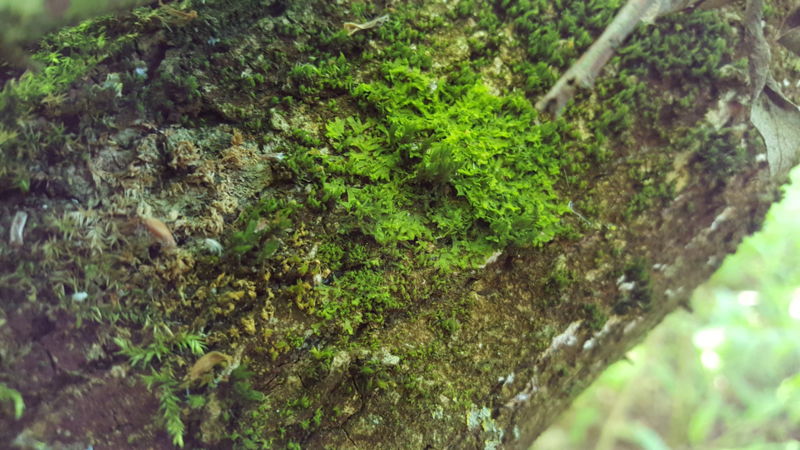 They comprise three main taxonomic groups: mosses (Bryophyta), liverworts (Marchantiophyta) and hornworts (Anthocerotophyta) which have evolved quite separately. Worldwide there are possibly 10,000 species of mosses, 7000 liverworts and 200 hornworts."